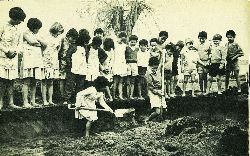 Children or the Gisborne Health Camp line the side of the hole which is to be their new swimming pool as two of their number assist in the project by shovelling some of the earth. 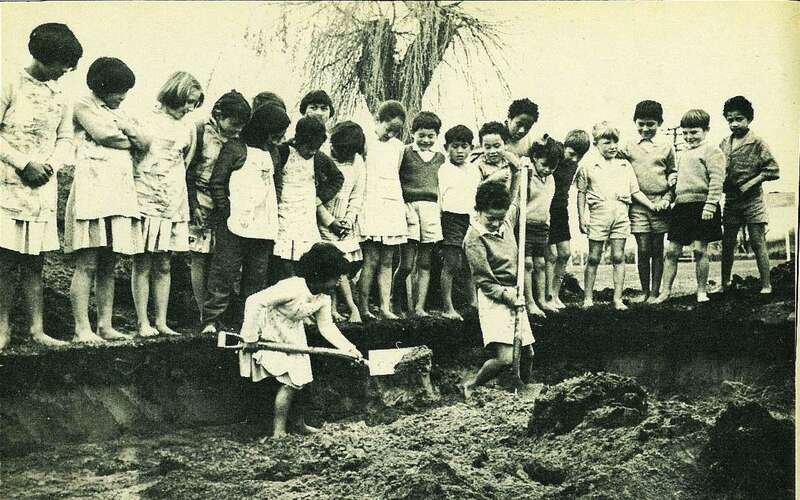 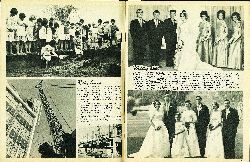 Contrary to what the picture may suggest, the excavation was done by machinery, and it is hoped to have the new pool opened for the summer season. 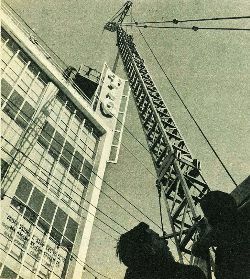 Expensive fault......when a portion of the illuminated sign atop the five-storey T and G building became faulty, electricians had to employ Monk Bros' giant mobile crane to hoist them to the top of the building to fix the light. 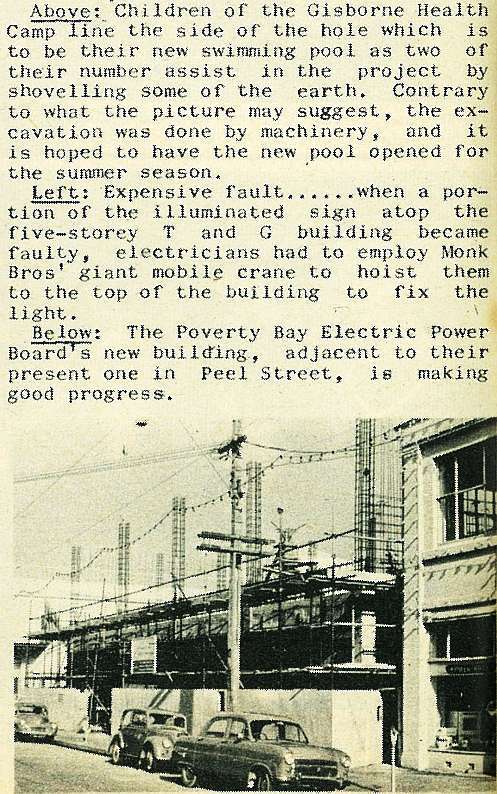 The Poverty Bay Electric Power Board's new building, adjacent to their present one in Peel Street, is making good progress.